Save AED 24 (50%) – Earn 2 Shukrans What is Shukran? Shukran is the Landmark Group’s award-winning loyalty programme in the Middle East, which allows you to earn Shukrans when you shop any of our brands. 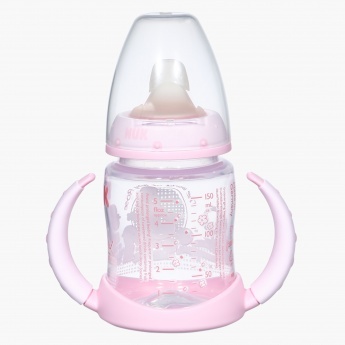 Designed to last long, this feeding bottle is sure to become your little ones favourite. It comes with a base handle that also acts like a tray. The print makes it look attractive.